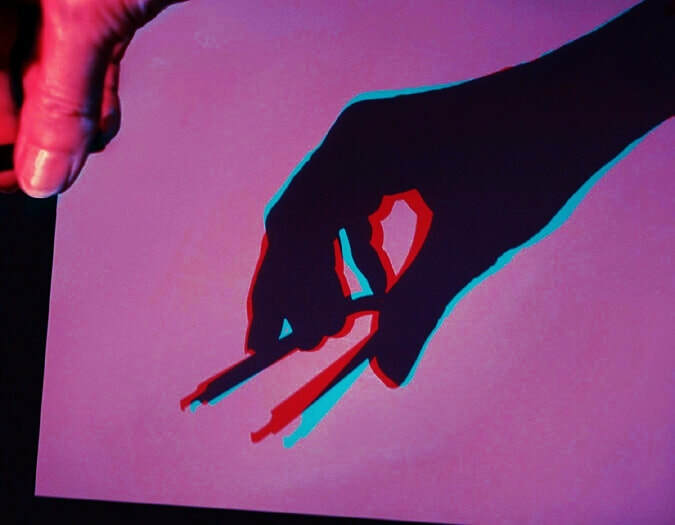 Shadowglyph is a interactive 3D shadow maker. 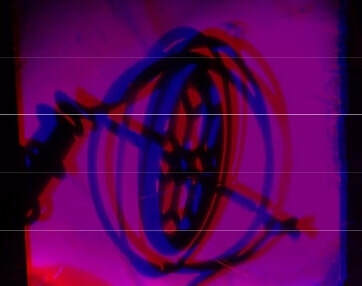 Participants cast shadows of themselves on a screen through projected Red and Blue Light. 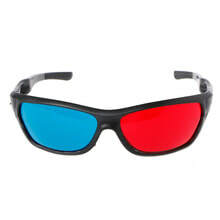 When participants look through provided red/blue viewing glasses they will see an illusion of their shadows appear to take on solid form in 3D space. Creating Shadowglyphs is a individual or group activity. It is approachable for all ages and skill levels. It allows participants to create and express themselves in new ways. 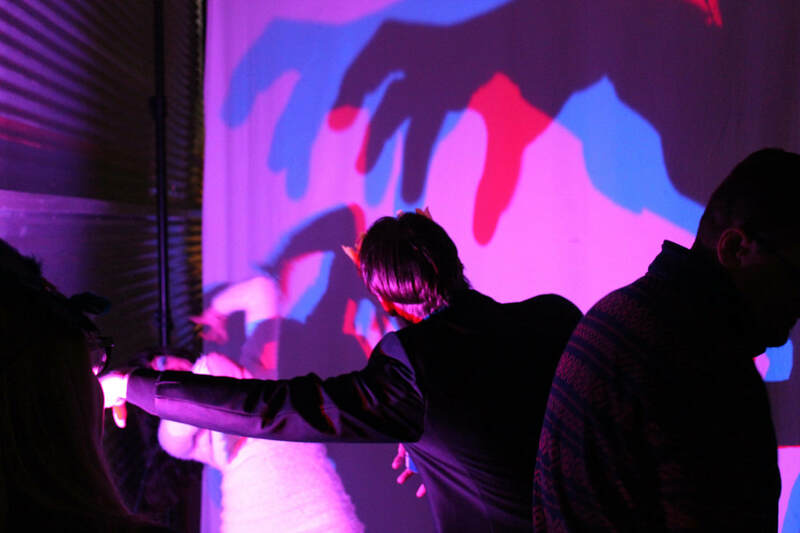 Participants create the art content, the Shadowglyph is just a tool to do so.